Had you asked either one of us two months ago what our plans were, this would not have been it. We both felt settled in our jobs and in the city. Cassandra and I had begun talking about purchasing a home and we were saving to make it happen. She hosted regular brunches in our tiny apartment and I was quite deep into my cataloguing of San Francisco's dive bars. We were comfortable. My mother invited Cassandra and I to Cancun, Mexico in May. It was a fantastic trip for me; my first time traveling to this country. The Mayan temples were spectacular. We ate tamales verdes, cotija, chicharron, and morcilla at the mercado. And of course we spent time on the beautiful beaches. My mother and I also had some late afternoon conversations about my grandmother and our properties back home in Rincon, PR. Neither was doing well and we needed someone on the ground we could trust to take care of things. Someone who understood our family situation and assets. Someone who could put everything in order and work with the state-sponsored island time. It would have been best if it was my mother or me but neither of us could do it. Scheduling court visits, property inspections, and government office appointments in between vacations and the end of quarter/semester seemed like a logistical nightmare. The only way one of use could do it is if we lived in Puerto Rico full time. This got Cassandra and me thinking. Hadn't we been talking about doing something new? Don't I have the luxury of working from anywhere with an internet connection? And so after some discussion we decided to go for it. Cassandra quit her job and bought a Puerto Rico guidebook. I transferred to contracting. 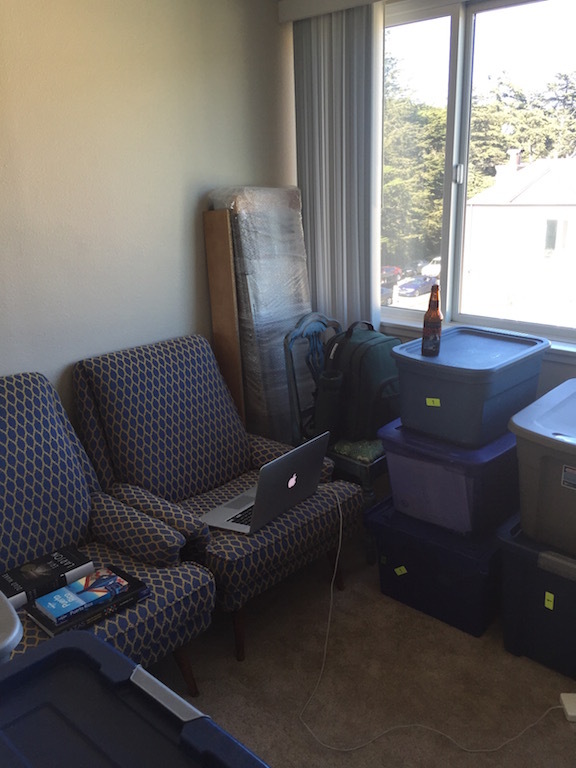 We canceled the internet last week and finished packing yesterday. We will be staying in a condo in Carolina until we figure out the next steps with things back in Rincon. In addition to buying a car I need to get some reliable internet access for work. Cassandra is doing online machete shopping and teaching herself how to be a general contractor. We will be touring the properties and taking notes on what needs to be fixed. There is a fence that needs to be mended on one of the properties. On another is a 100 year old wooden home that I understand is infested by bats and has two beehives. The farmland has quite a number of fruit trues and vegetables on it that need to be cared for. It definitely will not be comfortable. But it is going to be great fun.